An AC gear motor is a type of gear motor whose various brands and types come in a variety of power ranges. An AC gear motor is optimal for all continuous and unidirectional operation processes such as conveyor systems and industrial pumps and blowers. An AC gear motor has such a wide variety of applications! Moving Heavy Objects – In many commercial applications, an AC gear motor is typically used in order to be able to exert a huge amount force in moving a heavy object. Thus, AC gear motors work with the lift jack and crane. Speed reduction and increase of torque or force are the two qualities of the crane that make this function possible. Creation of Great Amounts of Torque – This is achieved through the extremely low rotational output speed. The low RPM speed will produce high amounts of force that can be used for lifting heavy objects. Reduction of Speed – The series of gears that are attached to the main motor need its speed reduced. The second shaft is then connected to a series of gears in order to create a series of reduction gears. These reduction gears would improve and optimize performance. 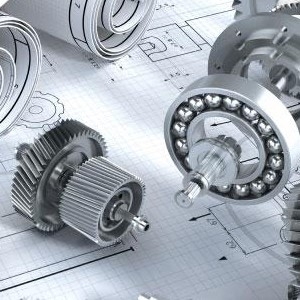 Since 2002, we have been a leader in the production and distribution of the Bauer brand of gear motors. From an AC gear motor to a helical gear motor, we take immense pride in our selection of products. We are committed to giving our diverse clientele the best products and services. So, call us today and we’ll provide you with the quality expertise to assist in finding the right product for you!